2. What Is The Best Eyeliner For Tightlining? 3.2. How do I tightline without getting the eyeliner product into my eye? 4.1. 1. What is the best eyeliner brush for tightlining? 4.2. 2. How can I keep my tightline for 24 hours? 4.3. 3. What are the best eyeliner for tightlining for people with sensitive eyes or contacts? 4.4. 4. Are the best eyeliner for tightlining products challenging to remove? What exactly is tightlining and how do you do it? Tightlining first become popular among celebrities in recent years and has only increased in popularity for celebrities and non-celebrities alike! Technically speaking, tightlining is an eye makeup technique where you apply eyeliner to the inner rims of your eyes. The inner rims of your eyes are also known as the waterline. By darkening the inner rims, you will achieve the purpose of tightlining: to create the appearance of darker, fuller, and more radiant eyelashes. It can seem tricky at the beginning, but with the right product and technique, it’s a breeze! Fortunately for you, you can find all of the best eyeliner for tightlining products online. Our buying guide will show you the pros and cons of each product, so you can decide on the best eyeliner for you. Tightlining sounds a lot more complicated than it really is. It’s not very difficult to find the best eyeliner for tightlining once you know what type of product you seek. The key differences to keep in mind are if you prefer an eyeliner that is liquid, powder, pencil, or gel. There is also an option to use an eyeliner brush with the powder eyeliners (also known as cakeliner). Eyeliner brushes are also used for toplining, especially for people with sensitive eyes. The liquid and powder options will give you the most dramatic, defined look while pencil provides for a softer, more casual look. Gel liners an intermediate degree of intensity. They can work well for eyeliner beginners who are nervous about bleeding liquid eyeliner into their eyes. Now that you know this valuable information about tightlining, are you ready to see the pros and cons of the top products in the market? There are man brands out there, but don’t be alarmed. We’ve already done the research for you. Below you can find our buying guide and favorites: the best eyeliner for tightlining, the best drugstore eyeliner for tightlining, best waterproof eyeliner for tightlining, and the best pencil eyeliner for tightlining. Hopefully after reading this information, you will be best able to make an informed decision. Are you ready to see the best eyeliner for tightlining? Great, let’s begin! What Is The Best Eyeliner For Tightlining? Before getting into the in-depth review session, here is some necessary information about each of our best eyeliner for tightlining products. This information is a good start for understanding products “at a glance,” especially if you don’t have the time to read the more in-depth product reviews. Great! Now that you have read our table, you are ready for the in-depth review of our product favorites. Knowing the key identifying information is useful, but ultimately understanding what makes the best eyeliner for tightlining require a combination of knowledge. Different people will take notice of specific aspects of makeup such as durability, functionality with sensitive eyes, and of course the aesthetic. The best eyeliner for tightlining will have a combination of these qualities. This product is overall very popular and a people-pleaser. Why is it such a winner? Created with the assistance of medical plastic surgeons, this product is a tightliner, eyeliner, black lash primer, and waterproof mascara all in one! This product could be really beneficial for people who want multiple functions in one product, as opposed to carrying several utensils at once. When used for tightlining, the black color gives a fantastic pop to the eyes for a dramatic look. As a waterproof eyeliner the quality is top notch, so you don’t have to worry about the makeup running or smudging throughout the day. The eyeliner also has a feature that helps prevent your mascara from flaking after you use the first coat. The mascara feature of this product separates the lashes for an even coat that doesn’t clump together. This eyeliner could be an excellent option for those looking for the best drugstore eyeliner for tightlining. With ingredients like açai, avocado, and aloe, it can be nourishing to your lashes as well! This product is wonderful for people with sensitive eyes or contacts because the powder base will not bleed into the eyes. It is a product of a little more effort to use because you have to dampen the brush before application. Once you wet the brush, apply the brush directly to your lash line in a stamping motion. You can increase color intensity by layering, which is why some people believe cakeliner is the best eyeliner for tightlining.This tightlining technique for cakeliner is in contrast to a water eyeliner in that it is applied little by little, and not in one swift motion. Some users reported that they enjoyed how this product worked well for people of all eye shapes, including hooded eyes. If you accidentally get some into your eyes it will not sting. One of our favorite features of this products is the large array of colors available. At this time, the product comes in black ebony, mahogany brown, bleu marine, charcoal gray, and plum rich. That is a lot of choices, so you have the option to go for a simple, classic look, or experiment with bolder colors. The Kajal Eyeliner Pencil pairs with the tightlining technique to make your eyelashes look bright and radiant with a creamy intensity that is still safe for the eyes. While some tightliners recommend tightlining only on the top waterline, this product is designed to tightline both the top and lower waterline for a dramatic finish. It lasts all day and will not bleed. One of the great features of this product is that it can be applied with very few strokes, while still maintaining a high degree of color intensity. Another of the most important qualities is that it is waterproof, which means you can enjoy without reapplying for many hours. This waterline tightlining eyeliner will give you the classic, dramatic look of tightlining. Apply across the inner rims of your eyes for best results. Although this product will glam you up with an intense look, especially in the black color. 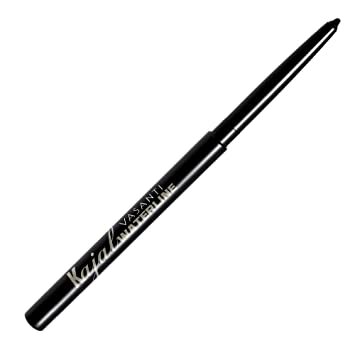 The Kajal Eyeliner Pencil is also ideal for sensitive eyes. Ophthalmologists and dermatologists have tested this product. It is paraben free, vegan, and free from animal testing. 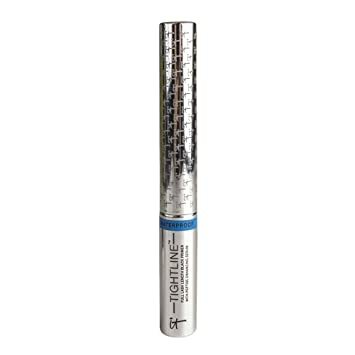 This product could be the best eyeliner for tightlining for those who have sensitive eyes. This eyeliner comes in a dry compact. It looks strikingly similar to pressed eyeshadow, but has more vibrant color pigments when it is activated. It is fantastic for tightlining and dries without flaking, leaving a clean and stable line that doesn’t smudge. To use it you have to take the additional step to wet your eyeliner brush and dip it into the eyeliner. You can also add a few drops of water to the liner. With this product, you can decide how intensely you want the pigment to show by playing with how much water you use or if you layer the product on with more than one coat. This product is a matte powder, but you can see a slight shimmer under bright lights. It is not a pure matte in that sense, but still a vibrant, beautiful color. You can use this product as one of your best eyeliner for tightlining, or a smoky eyeliner. For tightlining, use only a small amount of water and apply the product to your lash line lightly. The effect is a natural eyeliner. For a smoky eyeliner look, use a fair amount of water, a thick brush, and a Q tip. Users also reported with this product that they enjoyed how you can modify the intensity- as opposed to liquid eyeliners and gels. 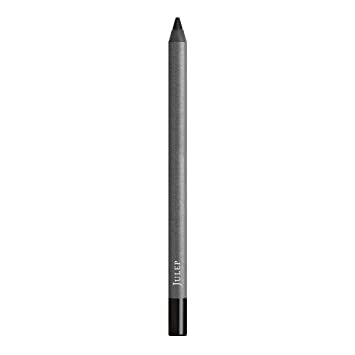 The Julep Long-Lasting Waterproof Gel Eyeliner Pencil is the right combination of easy to use and rich in color. The formula is creamy and comes in 14 colors which is great for people who want their makeup to pop with their outfits on a wide variety of occasions. Tightlining with this product results in a similar aesthetic effect as a bolder liner, although it is only a gel pencil. It is waterproof as well! To tightline with this product, run it along your lash line and let it set for 30 seconds so it’s less likely to smudge throughout the day. If you would like to smudge the eyeliner for an alternative aesthetic, be sure to do this in the first 30 seconds for best effects. After this application, prepare to have one of the best eyeliner for tightlining. The 14 colors include blackest black, bronze shimmer, electric teal shimmer, forest green shimmer, galaxy black shimmer, gilded gold shimmer, golden olive shimmer, graphite shimmer, navy smoke, radiant amethyst, rich brown, smoky plum, smoky taupe shimmer, and sunset gold shimmer. That is a lot of options! One drawback we would like to share about this product is that users with naturally oily skin reported smudging, particularly in humid weather. After reading the in-depth product reviews, perhaps you have an idea of the best eyeliner for tightlining for you personally. If you still have questions, have no fear! In the following paragraphs, we will provide you with valuable information such as the technique of drawing a tightline. Knowing the various methods of drawing a tightline is essential because it varies slightly by product. By knowing which way you prefer, it is, therefore, easier to choose your best eyeliner for tightlining. We will also go into more depth about using the tightlining technique without getting the product into your eye. At a time when people have become more aware of optometric health, conscientiousness of the best eye makeup and technique is very important. One of the biggest deterrents to people trying tightlining can be how it simply looks difficult to achieve. Drawing the tightline can be daunting in the beginning, but have no fear! We are here to help with the details in these easy steps below. Step 1. Wash your hands. Cleaning your hands will prevent any bacteria or oils from getting into your eyes. If you regularly take eye drops, do this before the application as well. Step 3A. For liquid eyeliners, gel eyeliners, or pencil eyeliners: Place your eyeliner on the outer corner of your water line (away from your nose) and follow your lash line, drawing in. Stop where your lashes begin to thin and don’t trace your entire eye. If you are using a liquid eyeliner, this will only be a few strokes, whereas a pencil or gel-based eyeliner will require more strokes. Use more strokes on the pencil or gel-based eyeliner if you want a darker color. Repeat this process with your other eye, and remember that the goal is to fill the space between your eyelashes. Take care not to blink during this process because the eyeliner will drop to your lower eyelid and the effect dulls out. Step 3B. For powder or cake eyeliners: Add a few drops of water to your powder base. The more water you add, the less sharp the color will be. Use your tightlining brush to apply some of the product. Follow the steps instructed in 3A. Because it is a powder eyeliner, you can use smaller strokes as you trace along your waterline. Repeat and trace again for more color intensity. Step 4. Enjoy your chic, best eyeliner for tightlining look! Now that you have the written steps, you can also follow along in this video for a visual and audio aide. Check out this video for a straightforward introduction to great tightlining eyeliner techniques with the best eyeliner for tightlining! How do I tightline without getting the eyeliner product into my eye? This is a good question. If you are concerned about finding the best eyeliner for tightlining that will also not bleed into your eyes, it can be useful to think about the pros and cons of each eyeliner type. For example, in general, the liquid eyeliners are the most likely to get into your eyes upon application. The spillage can be minimized with liquid eyeliners that were designed with tightlining in mind because they have more precision than low-quality liquid liners. A product like this would be It Cosmetics Tightline Waterproof Black Primer Eyeliner Mascara. As far as other best eyeliners for tightlining without getting the product into your eye, powder or cake eyeliners are a real winner. To prepare the powder, first, you dip the brush into a small amount of water. When you apply it, the consistency of powder makes it so it does not bleed much. If by some bizarre circumstance, the powder does get into your eye, various product users have reported that the high-quality cake liners are entirely painless. 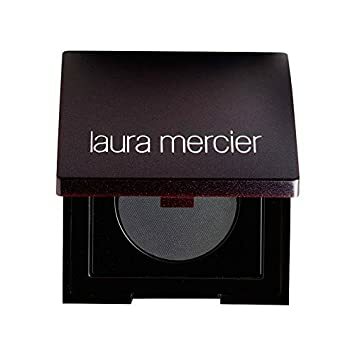 Examples of these best cake eyeliners for tightlining would be the Laura Mercier Tightline Cake Eye Liner and the Pure Ziva Matte Powder Cake Eyeliner Eyeshadow. Gel and pencil eyeliners have a moderate chance of getting into your eyes, and certainly less so than most liquid eyeliners. For great gel and pencil tightlining options, check out the Vasanti Kajal Waterline Eyeliner Pencil and the Julep Long-Lasting Waterproof Gel Eyeliner Pencil. Did reading the best eyeliner for tightlining reviews leave you with some questions? Not to worry! We scouted for some of the most popular, frequently asked questions from users to best serve your needs. Check out our FAQs below. 1. What is the best eyeliner brush for tightlining? The best eyeliner brushes for tightlining will have straight edge tips because this will allow you to draw the most completed looking finish. It is best when the hair of the bristle is natural, but synthetic works as well. Eyeliner brushes can be used with gel, liquid, or powder products. The most important characteristic to look for is a sharp and precise application. If the brush bristles are not sharp, the finish to your eyes will be messy. 2. How can I keep my tightline for 24 hours? When thinking about how to keep your tightline for 24 hours, the keyword to keep in mind is “waterproof.” Waterproof has a lot of different functions. It can help the makeup stay if you have naturally watery eyes or allergies. It might also give you those extra seconds to run away from the rain before you become a victim of raccoon face. The best waterproof eyeliner for tightlining is It Cosmetics Tightline Waterproof Black Primer Eyeliner Mascara. Coming in as runner-up would be the Vasanti Kajal Waterline Eyeliner Pencil. 3. What are the best eyeliner for tightlining for people with sensitive eyes or contacts? 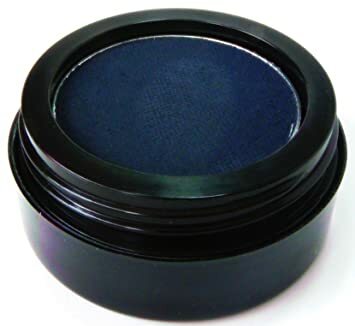 A powder-based product tends to be best such as the Laura Mercier Tightline Cake Eye Liner and the Pure Ziva Matte Navy Blue Wet Dry Pressed Powder Cake Eyeliner. The gel products would come in as a close second. Powder and gel products can be great for people with sensitive eyes because it is less likely that the product will bleed into your eyes. Even if the cakeliners do spill over into your eyes, users reported that it is entirely painless. 4. Are the best eyeliner for tightlining products challenging to remove? Generally, tightlining products are not difficult to remove. The best eyeliner for tightlining is typically waterproof, and these products require more effort to remove than non-waterproof if you don’t have makeup remover. However, virtually every makeup remover will make the tightliner product come off fairly quickly. Specifically to remove tightlines you can dampen a Q-Tip with makeup remover and apply directly to the residual makeup. Are you ready to look like a tightlining superstar? Having the appearance of fuller, healthier lashes is not limited to Hollywood celebrities. With our best eyeliner for tightlining products, no makeup artist is necessary! We hope you enjoyed this information on the best eyeliner for tightlining. To summarize, we showed you the top products for tightlining, including their characteristics, pros, and cons. Our winner is the IT COSMETICS TIGHTLINE WATERPROOF BLACK PRIMER EYELINER MASCARA. Certified plastic surgeons assisted in creating this multifaceted product. With this expertise and public feedback, the product is a tightliner, primer, eyeliner, and mascara! This feature is super useful who would like to have their eye makeup functions in one place. The It Cosmetics tightliner really can come in handy on those days when you want to look chic and put together with a classic, dramatic black color. The best eyeliner for tightlining waterline is within your reach- relish your beauty! If you liked this article on the best eyeliner for tightlining, please give Carekees a like and a share! I have actually been looking for a good eyeliner! I stopped using eyeliner a few years ago and usually stick with mascara looks. It is great to have liner to mix things up and create new looks though! I really want to try the IT Cosmetics and or the Laura Mercier one! Its time to replace my masscara, this is a great guide. This is a great run down. I love winged eyeliner but recently I have been opting for tightlining instead. This is so helpful.